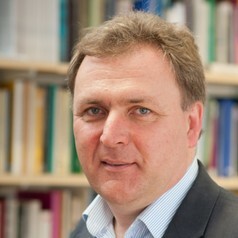 David Phinnemore is Professor of European Politics and Jean Monnet Chair in European Political Science in the School of History, Anthropology, Philosophy and Politics at Queen's University Belfast. He is also Dean of Education in the Faculty of Arts, Humanities and Social Sciences at Queen's University Belfast, as well as Visiting Professor at the College of Europe (Bruges) where he teaches on EU enlargement. He holds a BA in European Studies (1990) and was awarded his PhD in European Studies by the University of Kent at Canterbury in 1998. His teaching interests are focused on the European Union, notably its institutions, decision-making procedures, external relations and enlargement. His research interests cover EU treaty reform, EU enlargement, EU external relations and alternatives to EU membership, particularly association, and Brexit and its implications for Northern Ireland.